Are mosquitos ruining your time outdoors? 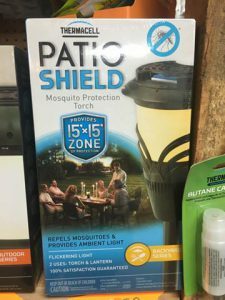 The rain has increased the amount of mosquitos this season and with the threat of Zika Virus, make sure you are doing everything you can to keep mosquito free while outdoors. Standley Feed and Seed carries Thermacell Mosquito Repellent in lanterns, torches and personal clip on repellers. 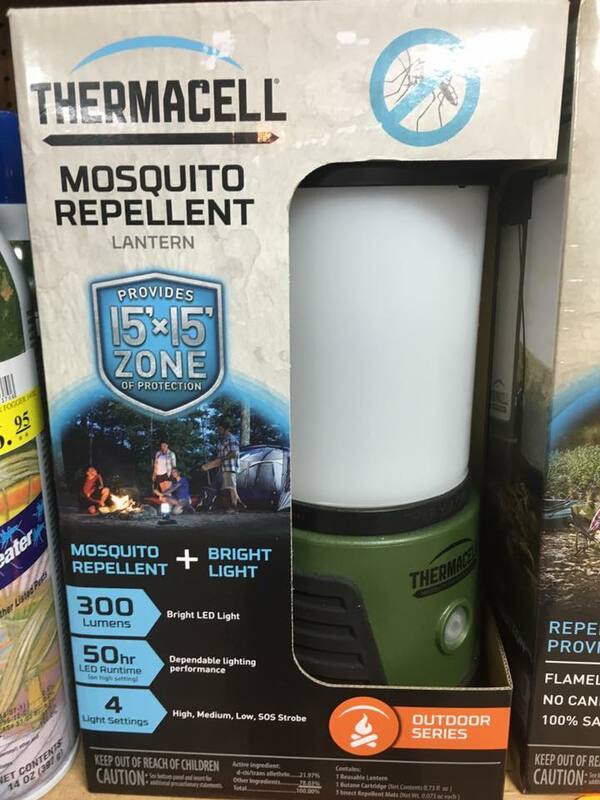 The Thermacell lanterns offer bright light while simultaneously repelling mosquitos. The torch offers an ambient light, perfect for a patio or a relaxing setting. 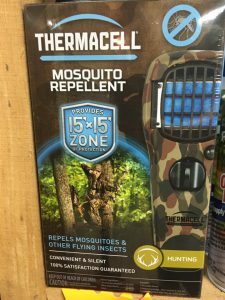 The clip on repellent is perfect for hunters and make a great personal repellent for anyone outdoors. Simply clip on your belt and it effectively repels mosquitoes, black flies, and other biting insects by creating a 15 x 15-foot zone of protection for bug-free comfort. Stop by Standley Feed and Seed for topical, light repellents and indoor and outdoor mosquito repellent products. Stay mosquito-free this season! This entry was posted on Wednesday, June 22nd, 2016 at 6:51 pm	and is filed under News & Updates. You can follow any responses to this entry through the RSS 2.0 feed. Both comments and pings are currently closed.